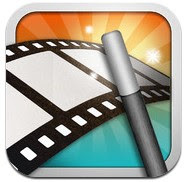 Top Movie Making Apps let you create your own movies in cinematic style on your iPad or iPhone. In this article, we’ll see some great movie maker applications for your iOS device. If you love to make movies, these apps would be very useful for your iPhone or iPad. These apps help users to retouch their simple video clips like professionals. If you are a creative iPhone/iPad user or you want to be a filmmaker, these apps can help you to make high quality home movies. Here you can view a list of the best movie making apps for iPhone & iPad. Some of these video apps are available free of cost on the Appstore. Here we’ve selected only those apps, which are really useful for our users. For example VivaVideo Pro or VidoeoWow app is a paid movie editor app for iOS users but very useful for professional purpose. Okay here is the list, check them out. 1. VideoWow: Video Editor, Mp3 Converter ( iPhone ) – One of the best newly launched video editing apps for iPhone users. The app has been designed especially for short video clips but you also edit long videos. The app has some unique features such as video cropping tool to remove unwanted video screen area, video to mp3 converter, snap option to capture photos from your videos, video resizing option, video rotating option, video trim option to shorten your video length, cool video filters and some visual effects for your videos. If you need any of these features, VideoWow would be the best video editing app for your iPhone. Very useful movie maker app that helps you to convert your videos into mp3 files. 2. VivaVideo Pro ( #iPhone & iPad ) – VivaVideo Pro is one of the best #movie making apps for iPhone and iPad and it comes with lots of movie creation features and can be used by professionals and beginners. With VivaVideo Pro, you can easily shoot , create and edit your video clips to make your own movies like professionals. The app lets you create professional like movies within few minutes. VivaVideo Pro has many useful movie maker tools such as – watermark free videos with unlimited video length, fast HD video export support, video collage maker tool, video camera tool with lots of video filters & different types of lenses, convert photos to video with slideshow maker tool, unique video maker tool with PIP effects, more than 200 visual effects including animated stickers, symbols, video effects, filters and many other features. If you want to add rain , fire or thunderstorm effects on your videos, this app would be very useful for your iPhone. The app comes with tons of visual effects with realistic sounds, animated stickers and fun effects. You can also increase or decrease your video speed. Very useful movie maker app for iPhone users. 3. iMovie ( iPhone & iPad ) – iMovie is one of the most useful movie making apps on the Apple app store that comes with lots of useful options. 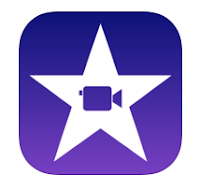 iMovie lets you create beautiful and professional quality HD movies from your iPhone or iPad. With iMovie, you can easily add different types of visual and sound effects to your video clips, trim the length of movie, animate your photos, create Hollywood style movie trailers & share your movies on the internet via Facebook, YouTube, Vimeo or other sites. The app comes with 14 types of movie trailer themes which can be used to create professional quality trailers like hollywood movies. The best movie maker app for iPhone & iPad users. 4. Magisto Magical Video Editor ( iPhone ) – Magisto Magical Video Editor is one of the best free movie making apps on the app store, that comes with some unique features. Great fun video editing app for iPhone that automatically edit your videos and photos with music and effects. Magisto Magical is a beautifully designed easy to use video editing app that lets you make professional looking movies within few minutes. Magisto Magical comes with lots of useful features such as- fully automatic video editing tool, useful tools to analyze , trim and edit the best part of your movies, different types of video effects, transitions and filtering options, face detection technology and social sharing option. 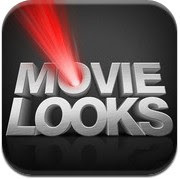 Very useful movie making app for iPhone and iPod touch that can be used free of cost. 5. Movie Looks HD ( iPhone & iPad ) – Movie Looks HD is a great movie making application for iPad and iPhone that lets you create professional like movies quickly. You can make fully professional video clips using the app because the new version of the app comes with 40 great cinematic looks including Blockbuster look , B & W and popular film looks.Movie Looks HD comes with lots of useful movie making options which let you add different types of cinematic effects to your videos, adjust and enhance color with professional color tool and record your own drama, B & W movies and Blockbuster like movies. One of the best movie making apps on the Appstore and it lets you turn your ordinary video clips to Hollywood like movies. 6. 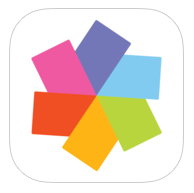 Pinnacle Studio ( iPhone & iPad ) – Very useful app that has lots of amazing features to edit your videos like professionals. If you are looking for a featured rich movie maker, you can also try Pinnacle Studio which comes with many functions and helps you edit , enhance and convert your video clips into a movie like professionals. The app includes many features such as video editing with speed control, audio editing option, montage & speed effects, soundtrack builder, title creation tool, amazing PIP effects and more. One of the best movie makers for iPhone users. 7. Action Movies ( iPhone & iPad ) – Do you love action movies? If you love watching action movies and want to create your own movies like action movies, this free app would be useful for your iPad and iPhone that lets users add Hollywood FX to your video clips. Great app that comes with lots of cinematic effects. 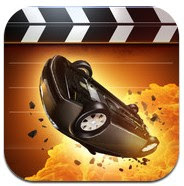 One of the best Fx movie makers for iPhone & iPad.